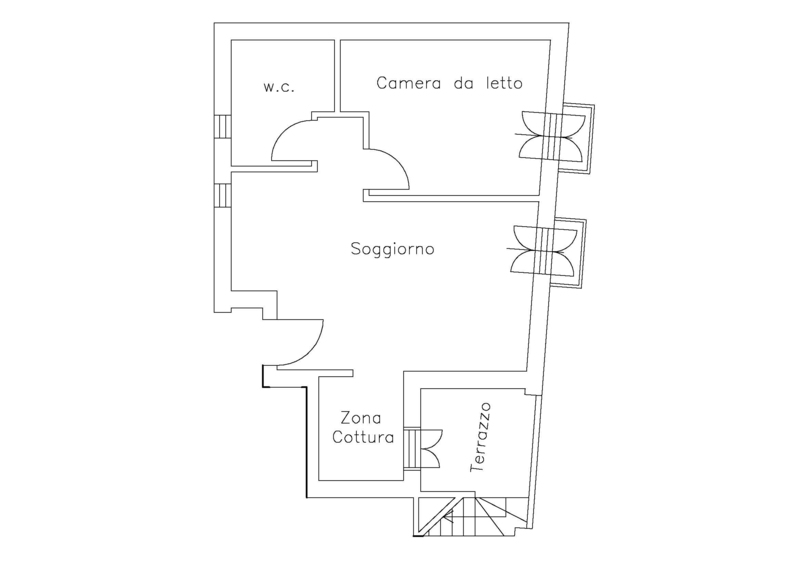 Delfini is a two-room apartment of 40 square meters plus outdoor spaces, located on the first floor of our apart hotel. It overlooks the main façade, on a wide road towards the center of San Vito Lo Capo, and enjoys wonderful little glimpses of the sea. It consists of a bedroom with a French sommier, a living room with a sofa bed with wooden slats, a 70x70 bathroom with shower, equipped with courtesy set, shower, hand soap and hairdryer; has an independent air conditioning in each room (even in the bedroom!). It is equipped with a hallway with built-in wardrobe, safe, iron and ironing board and is fully furnished with table, chairs, fridge, electric kettle with tea set, LCD TV. It has a kitchenette equipped with dishes to enjoy maximum autonomy. To make special the accommodation is the veranda for exclusive use furnished with garden furniture, perfect to enjoy the beautiful summer evenings. The cost of an umbrella and two beds is € 20.00 -for the first row € 15.00 for the second row - € 12.00 for the other rows. The day of departure you can stay at the beach as much as you want! We put at your disposal a comfortable shower service and we also give you clean towels!